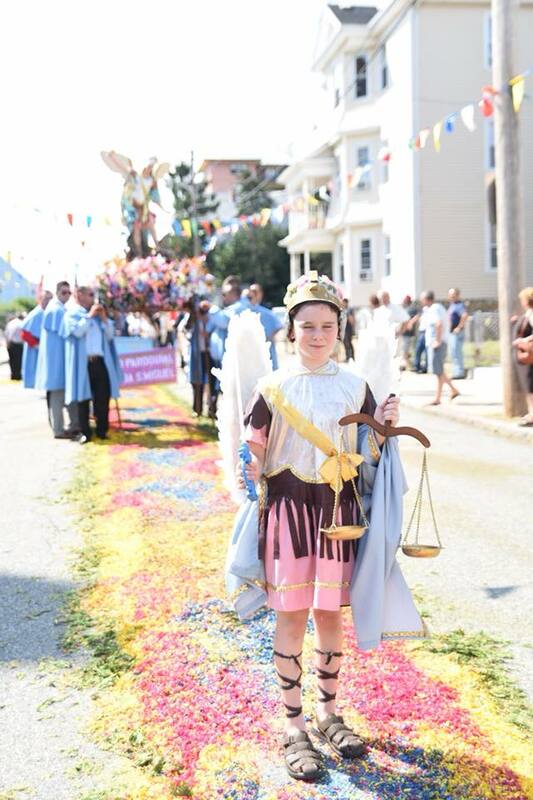 The Saint Michael Parish feast is held annually, on the first weekend of August. 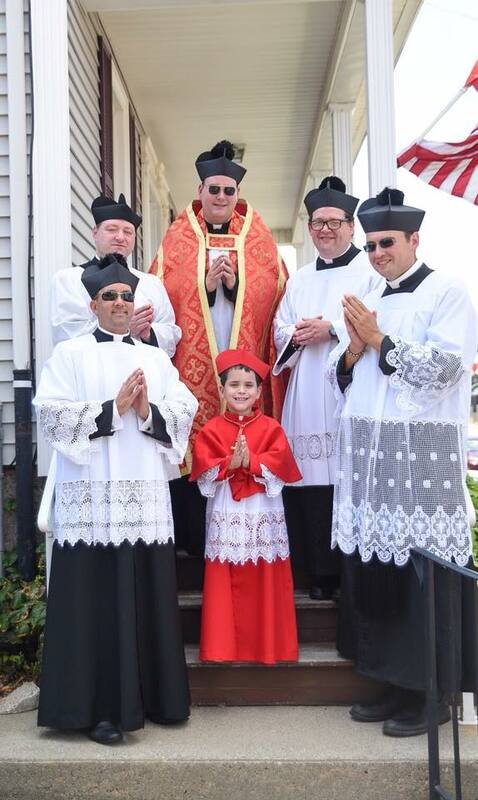 The 2019 feast will be held on August 2nd, 3rd & 4th. Every year, the feast is celebrated with entertainment, food booths, games and our famous malassadas. 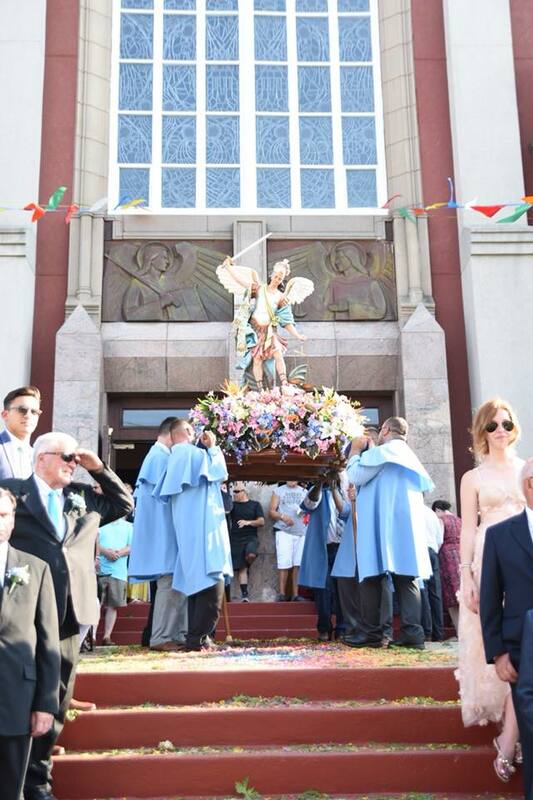 Our feast Mass is followed by a traditional procession of the statue of St. Michael, with solemn benediction before retiring to the church yard for a concert and more surprises. 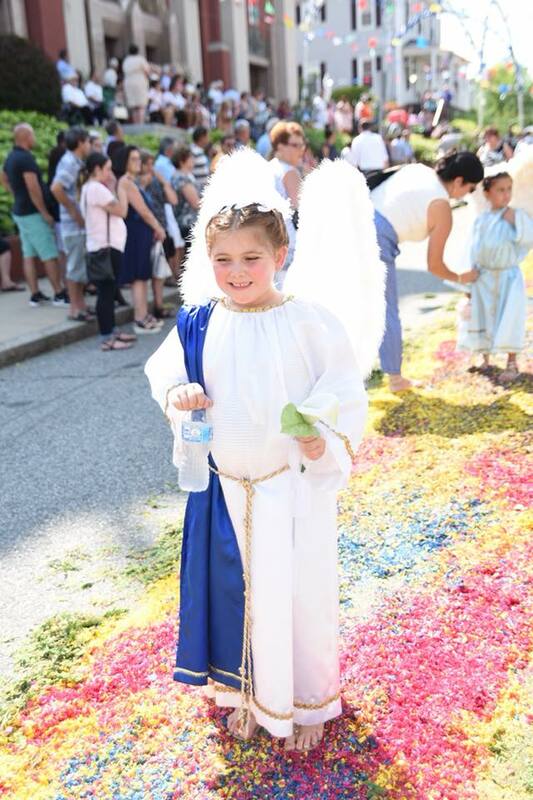 On Sunday, the streets are decorated and the bands march along with our Procession of decorated statues, children dressed as angels, our many committees and volunteers. Throughout the year, the St. Michael Feast Committee hosts many fundraising events and cake sales to help with the many expenses of our wonderful feast. If you would like to be a part of the volunteers who assist in these fundraisers and events, please speak with Fr. Jay or contact the parish office.